21" x 18" x 18". 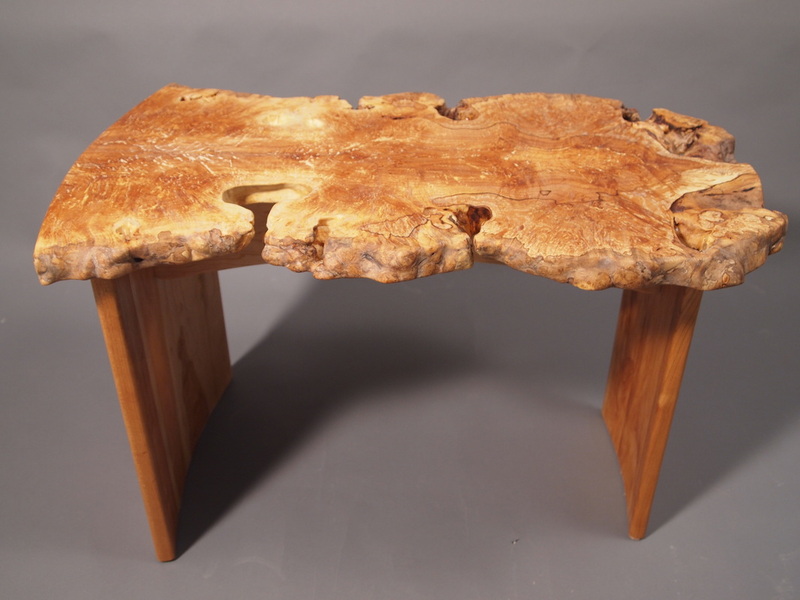 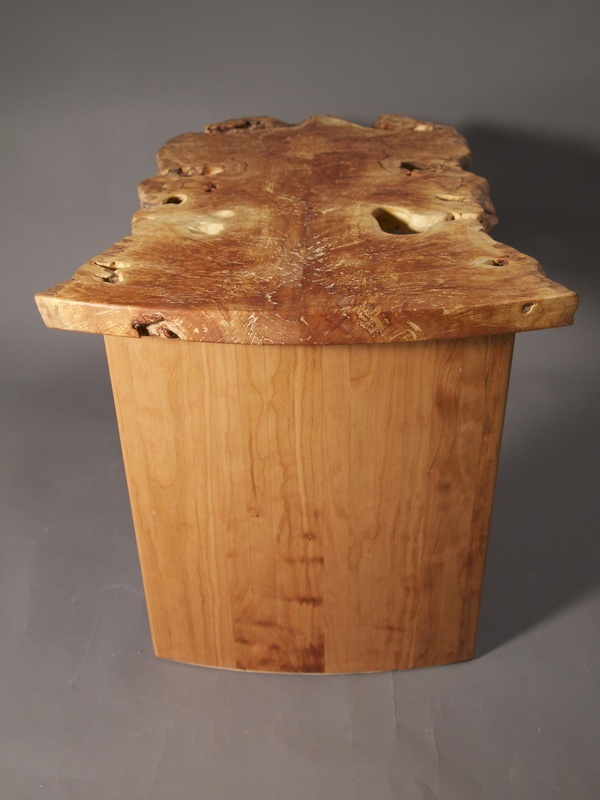 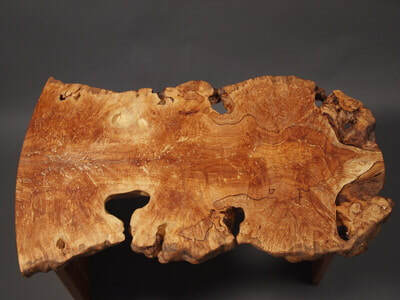 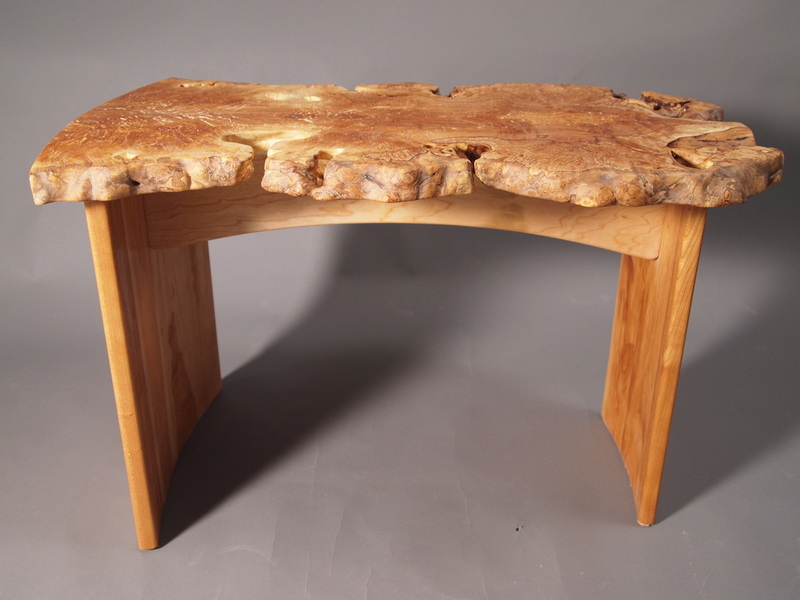 This coffee table is made from maple burl and Brazilian cherry in 2013. 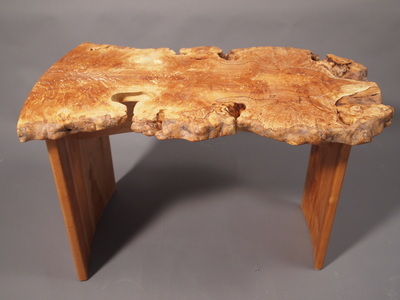 It is available for purchase.